A month after the FBI shut it down, the world’s most notorious illegal drug marketplace, Silk Road, is back online. The person (or, more likely, people) behind the so-called Silk Road 2.0 have adopted the pseudonym “Dread Pirate Roberts,” the same handle used by the founder of the original Silk Road, who law enforcement officials believe is Ross William Ulbricht, a 29-year-old who is currently behind bars for allegedly running the Silk Road and two murder-for-hire schemes. In addition to arresting Ulbricht, the FBI also seized millions of dollars worth of Bitcoin stored in the Silk Road escrow system. 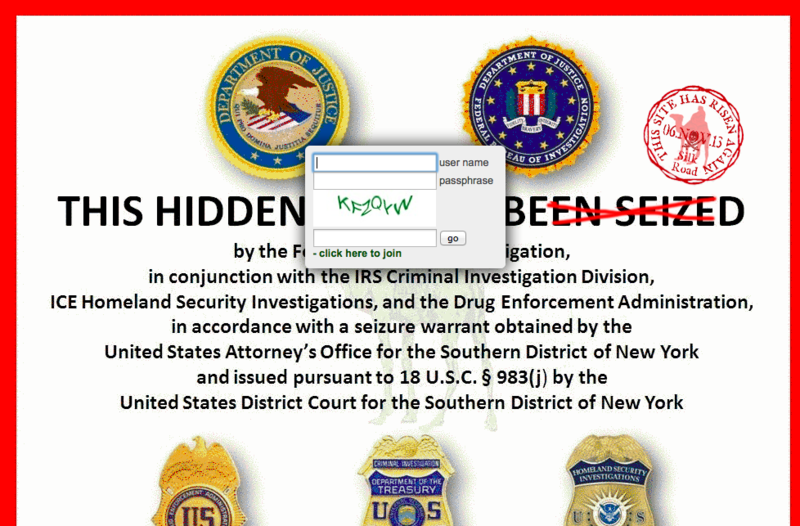 A number of vendors and users of the original Silk Road have also been arrested. However, the rest of the Silk Road’s user base appears determined to continue buying illegal drugs on the Internet. 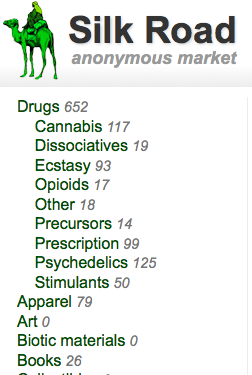 Only days after its launch, Silk Road 2.0 already has more than 600 different listings for illegal drugs, including marijuana, ecstasy, prescription drugs, and more. Forged documents and hacking tools are also available, as are more mundane items, like books, electronics, and clothes. Silk Road is not accessible through the regular “clear” Internet. Instead, it can only be accessed through the Tor network, which anonymizes users’ Internet activity. The only currency accepted on Silk Road is Bitcoin, a (mostly) anonymous digital currency that is far more difficult to track than other forms of online payment. Silk Road 2.0 has also included a number of security features to help keep buyers’ and sellers’ identities secret, including integrated PGP encryption for messaging and other transactions, and the ability to “tumble” Bitcoin, which makes it more difficult to trace purchases back to specific users. While the return of the Silk Road is significant, what’s more amazing is that people actually appear to be willing to use it. (As Forbes reports, the site is not yet taking orders to ensure that its system can handle the load.) The Silk Road community on Reddit has had a flurry of excited discussions about Silk Road 2.0. Some users have voiced skepticism, with quite a few claiming to be “cautiously optimistic” that the site isn’t a honeypot set up by the FBI. Other users, however, seem downright giddy about the prospects of buying drugs on the Internet.